The following review represents the final commentary for the Jane Eyre read – along hosted by Maria at A Night's Dream of Books and Brian at Babbling Books. I would like to thank Maria and Brian for their questions and contributions. The insights provided in the weekly discussion questions enriched my experience in rereading this great novel. 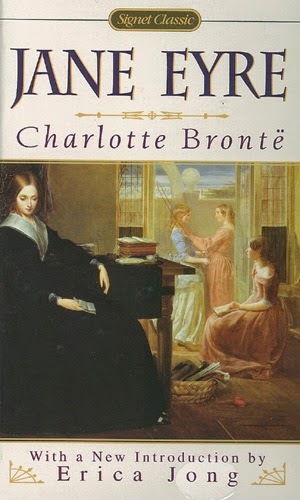 Charlotte submitted Jane Eyre for publication in 1846. It was rejected five times, and then she sent it to Smith, Elder, and Co., her eventual publishers. She sent it with a note that said: "It is better in future to address Mr. Currer Bell, under cover to Miss Brontë, Haworth, Bradford, Yorkshire, as there is a risk of letters otherwise directed not reaching me at present." 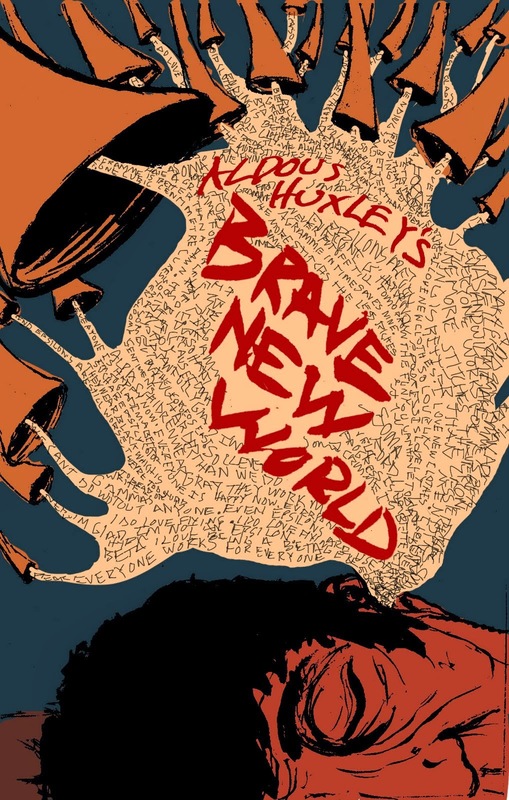 They agreed to publish it, and it became a huge success, and, a little more than a century later it became one of my earliest favorites, a novel that I would read and reread my whole life. I am not sure what my original fascination was although the mystery and sinister nature of the boarding school Jane attended was riveting, and later Thornfield Hall depicted a different world. The story told by Jane begins as one of her suffering, first under Mrs. Reed who treats her poorly and then at Lowood the boarding school she is sent to. Yet, from the beginning Jane develops a strong character and excels in her studies. She develops friendships with her classmate Helen Burns and her teacher Miss Temple. Throughout the opening chapters I was impressed with Jane's strength of will, her love of reading, and her attention to her readers. For as she narrates the story she frequently pauses to share a thought with her dear readers. This novel has all the aspects of the traditional bildungsroman and that is one of the reasons I enjoyed reading it. Jane eventually takes position as governess and it is at this point that the novel develops into a Romance for she finds a job working for Mr. Rochester teaching a young French girl, Adele Varens, at Thornfield Hall. As Jane teaches there a while, she falls in love with Mr. Rochester, and he falls in love with her. Needless to say there are several more changes in her life as she learns of secrets from Mr. Rochester's past and encounters aspects of her own past that impact her in unexpected ways. 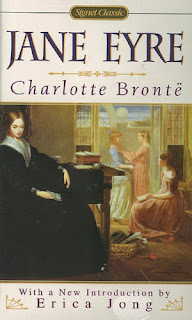 The story seems to be one where Jane's fate is unfolding before her and her reader's eyes, but it never grows old as Charlotte Bronte's tale seems to inhabit my being more closely than most others. This reading impressed upon me the important use of symbols such as colors and the weather that underlined the emotional life of Jane. From the early example of the "red room" or the continuing motif of rain, these symbols enhance the vividness of the story. Perhaps it is the complexity of a story that starts out to be a simple romance and expands into a Gothic mystery; it is surely magical as Charlotte Bronte is able to combine this story of the growth of a young girl with a love story that has Gothic overtones. 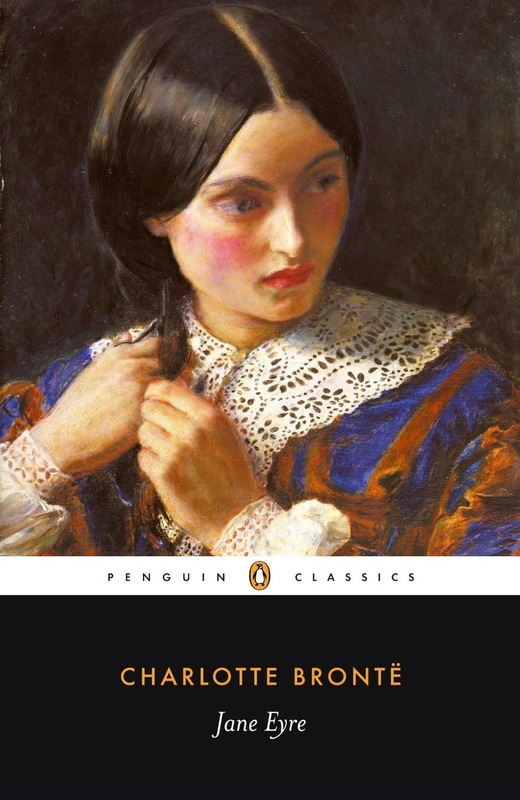 Ultimately it is a triumph for the individual will of our young governess-heroine, Jane Eyre. 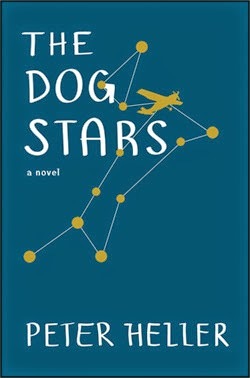 Flying in an old Cessna with his dog provides consolation for Hig the narrator of this engaging story of a not too distant future time on an Earth that is slowly dying. Hig has already lost his wife, his friends, and is marooned at a small abandoned airport in Colorado with his dog Jasper and his partner and friend (perhaps) Bangley. He relates, "I took up flying with the sense of coming to something I had been meant to do all my life." Somewhat reminiscent of Cormac McCarthy’s The Road, the catastrophe that has turned the world into its cataclysmic state remains unnamed, but it involves “The Blood,” a highly virulent and contagious disease that has drastically reduced the population and has turned most of the remaining survivors into grim hangers-on, fiercely protective of their limited territory. Hig periodically takes his 1956 Cessna out to survey the harsh and formidable landscape. While on rare occasions he spots a few Mennonites, fear of “The Blood” generally keeps people at more than arm’s length. Hig has established a defensive perimeter by a large berm, competently guarded by Bangley, a terrifying friend but exactly the kind of guy you want on your side, since he can spot intruders from hundreds of yards away, and he has plenty of firepower to defend you. Peter Heller's narrator intersperses Beckett-like dialogue with brief yet elegant descriptions of the land, his dreams, and his melancholy longing for a warming world that is dying around him. The dystopic scenery yields to Hig's generally positive attitude once he has recovered, as much as anyone can, from his losses. 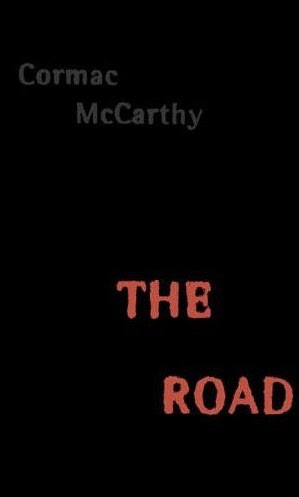 I enjoyed the novel's unique mix of realistic life in a bleak apocalyptic world while experiencing the leavening effect of nostalgia for love lost and a spirit that will not be denied. When will I be home? I don't know. 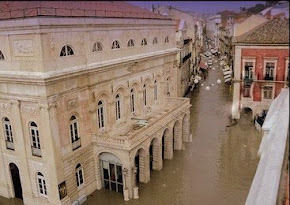 The autumn lake is flooded. Someday we will be back together again. Tonight on the stormy mountain. 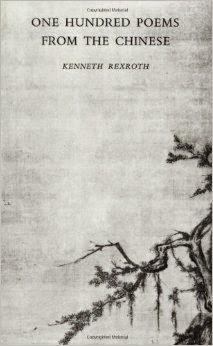 translated from the Chinese by Kenneth Rexroth and published in One Hundred Poems from the Chinese. New Directions, 1970. "The feeling was not like an electric shock, but was quite as sharp, as strange, as startling: it acted on my senses as if their utmost activity hitherto had been but torpor . . .
'Jane! Jane! Jane!' -- nothing more"
1.) The marriage that St. John Rivers proposes to Jane would be unconventional from an emotional point of view. What do you think about this hypothetical match? I agree with Jane that it is not reasonable because St John is proposing it for the wrong reasons. Rather than professing his love he merely feels that a woman working with him as a missionary who was not married to him would create to great a stigma. While Jane desires to help him she realizes that marriage is out of the question. 2.) In what ways are St. John Rivers and Rochester alike? I see in both men a hard resolve to act in certain ways that represent a will that refuses to compromise or even consider alternative views. In Rochester's case this is more understandable, but I am surprised that St. John Rivers' faith allows him to be so uncritical when reviewing his own attitudes. 3.) Is it surprising that someone with the strength of character that Jane possesses would be so influenced by St. John Rivers as to almost accede to his marriage proposal? Yes, it was surprising to me. In spite of a strong will that she had demonstrated almost from the beginning of the story she almost acceded. Not only that, she had such a long battle within herself over his proposal. After the second time she turned him down I expected that she would put it behind her. I found this one of only a very few aspects of the story that disappointed me a bit. 4.) What do you think of the seemingly psychic connection that manifests itself between Jane and Rochester at a critical moment in the plot? I think this is part of the magic that happens when two people have a true connection with each other based on love. They may try to deny their feelings and turn away for a time, as Jane did in running off and almost starving to death; but eventually they come together. 5.) What do you think would have happened if, upon her return to Rochester, Jane had found Rochester's first wife, Bertha, to be still alive? I think that Jane would not have agreed to Rochester's original proposal. However I imagine she might have worked with Rochester to find a way around the existence of Bertha as an impediment to their marriage. 6.) By the end of the novel, how has Rochester changed? The most important change is his realization, shared by Jane, that he can live a better life through the fulfillment of loving and living for another person. I think that in doing this he has overcome his spiritual blindness; this happy event is underscored by the partial recovery of his physical sight. 7.) How satisfied are you with the ending of this novel? 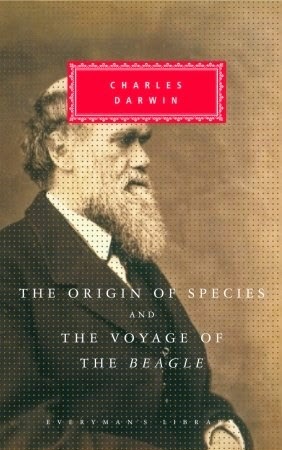 The book is one I have read and reread with increasing enjoyment. I admire Jane's character and enjoy the literary quality of Charlotte's creation. Once again, I am as satisfied as Jane and Rochester are happy. They have become fulfilled with their life together and with a son who has inherited Rochester's brilliant black eyes. The reward for Jane's perseverance and the redemption of Rochester are all one could ask for. This amazing novel chronicles the lives of two working class Australian families who come to live together at One Cloud Street, in a suburb of Perth, Western Australia, over a period of twenty years, from the nineteen forties to the sixties. Cloudstreet is above all an exploration and celebration of life and what it means, albeit from a very particular point of view. Every character undergoes a personal journey, some longer, harder and more greatly resisted than others, though a feature of all the characters' journeys is the realization of the importance of family and belonging within it. Within this exploration is a demonstration of the nature of the relationship between family and identity, in which an individual's role within their family is considered to be of paramount importance. As they settle into the large house at Cloud Street the differences between the families become apparent with one demonstrating a sort of free spirit (Rose's father likes to gamble) while the other is much more disciplined through hard work and saving. The Lambs find meaning in industry and in God’s grace; the Pickles, in luck. Each family seeks spiritual guidance in its own way while trying to forget the personal disaster that, in a way, began their journey. 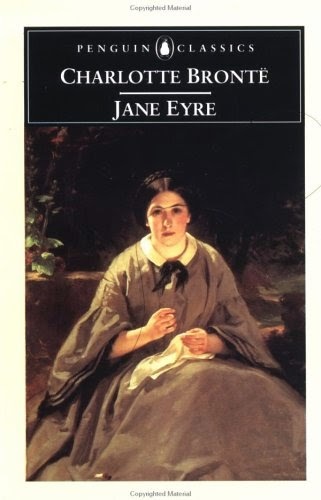 Her family could not afford many books, not even great novels like Jane Eyre. 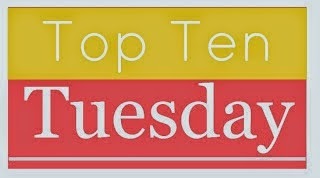 Rose, however, is a young woman who shares many character traits with Jane; although stealing books is not one of them. Later in the story Rose begins dating a journalist who quotes D. H. Lawrence. However, he is a little too racy for her. Another character who leaves the family and returns, Quick Lamb, recognizes his place is with the family while still striving for a better life. 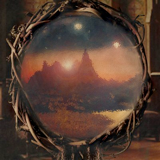 I think the title of the novel, Cloudstreet, is a signal of what the story attempts to convey. Think of a cloud as a symbol of an ideal, something to strive toward, and you have an idea of how the lives of the members of the two families who settle at One Cloud Street come together and grow, both individually and as families. Cloudstreet also signals the importance of place which forms a foundation for the lives of these two families. The result is an impressive saga of mid-twentieth century life in Western Australia. Introduction: "I liked to read what they liked to read:"
"The more I knew of the inmates of Moor House, the better I liked them. . . . I could join with Diana and Mary in all their occupations; converse with them as much as they wished . . . 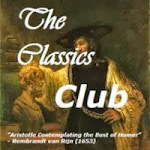 I liked to read what they liked to read: what they enjoyed, delighted me; what they approved I reverenced." St. John Rivers makes the following very blunt statement about Jane, in Chapter 29: "Ill or well, she would always be plain. The grace and harmony of beauty are quite wanting in those features." What does this tell you about him, especially in light of subsequent chapters? I believe he is being honest in his assessment of her features. He has little reason not to be so and his knowledge of their relation has not yet developed. One may suspect that he is predisposed to overlook the true inner beauty of Jane given his dedication to the ministry and his intention to become a missionary, especially considering his later ability to overcome his passion for Rosamund Oliver and reject her. Do you think the fact that St. John and his sisters turn out to be Jane's cousins much too coincidental? It certainly is coincidental, but I would not consider it too coincidental. The nature of this novel almost requires coincidences. I am not too concerned about this coincidence above others. Why does Bronte give Jane three more cousins, and precisely two females and one male, as with her Gateshead cousins? Well, speaking of coincidences, it makes it rather easy for sharing her inheritance between them equally while leaving each relatively generously provided for. Why do you think Jane tries to convince St. John to marry Rosamond, and give up his dream of becoming a missionary? Perhaps this is the romantic side of Jane. She has lost her own chance with the dashing Edward Rochester and this is a way for her to see someone she respects have a life like the one she lost. I do not believe that she appreciates the sincerity of St.John's desire to become a missionary. However, I also find this surprising because Jane seems to find some satisfaction in teaching and mentoring as a governess. Do you think the fact that Jane is now an heiress something that seems too 'providential', and thus, not realistic and believable? Again, more coincidences as the providential side of nature raises its benevolent hand. A change resulting from her distant relative was hinted, if not foreshadowed, earlier in the story when she found out she had an Uncle of whom she was previously unaware. That this connection should prove to change her life for the better is no more unbelievable than the cruelty of Mrs. Reed in the opening chapters of her story. I do not read this novel as an example of realism, but rather as a Gothic Romance. Bronte dedicates many pages to describing St. John's personality. Why do you think she does this? St. John is developed as a representative of reason providing an alternative to the irrational Bertha at Thornfield Hall. While he is described as brooding he also demonstrates a "mental serenity" and "abstracted nature". Jane is puzzled by his countenance, but I attribute that at least somewhat to her more romantic notions of life. The contrast is greatest in St. John's evaluation of his feelings about Rosamund when he says, "I experience at the same time a calm, unwarped consciousness that she would not make me a good wife". St. John's passion is devoted to helping people and in this he also provides a valuable model for Jane whose previous encounters with men (Brocklehurst and Rochester) have proven to be neither supportive nor worthwhile. Introduction: "I forgave him all: yet not in words,"
"Reader, I forgave him at the moment and on the spot. 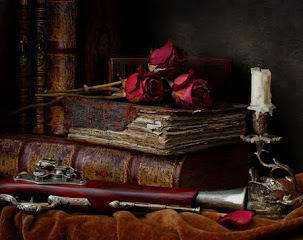 There was such deep remorse in his eye, such true pity in his tone, such manly energy in his manner: and besides, there was such unchanged love in his whole look and mien -- I forgave him all: yet not in words, not outwardly: only at my heart's core." The questions get harder to answer, in part because our two main characters are harder to decipher. The use of mythology on Jane's part may stem from her imagination combined with an inability to relate directly to Rochester's situation. Perhaps that is true of Rochester as well. They are far apart in class and station, making Mrs. Fairfax's doubts about the match seem very realistic. Yet, here we have two lovers--at least two proclaiming love for each other--who resort to imaginary beings as referents. One result of this is the feeling that their relationship is unreal. Perhaps that is the author's intent. For this reader it confirms my belief that Jane is a very strong-willed and independent young woman; albeit a woman who is filled with doubts that manifest in some tentative reactions. But not here, not when she feels she is demeaned by Rochester's unseemly joking manner. His inconstant behavior suggests he may have his own doubts about their relationship. His bravado and joking manner may be his way of hiding his true feelings. Jane seems to be trying to reassure herself that there is something good (ripe) to preserve in her relationship, something on which she might focus. In the previous paragraph she speaks to the damaged horse-chestnut tree saying, "You did right to hold fast to each other . . . I think, scathed as you look, there must be a little sense of life in you yet, rising out of that adhesion at the faithful honest roots . . . the time of pleasure and love is over with you: but you are not desolate: each of you have a comrade to sympathise with him in his decay." Is love and pleasure over for her and Rochester or is this a premonition, reinforced by her dreams (see next question)? In one dream she saw a "dark and gusty night" and while wishing to continue with Rochester, "experienced a strange, regretful consciousness of some barrier dividing us." As if this is not ominous enough she continues, "I dreamt another dream sir: that Thornfield Hall was a dreary ruin". These dreams, following the episode in the garden seem to surely foreshadow the events of the Wedding interrupted in the following chapter. It seems that in spite of Rochester's professions of love and offering his hand in marriage that Jane's world is coming apart, and has been ever since the ominous rending of the great tree at the end of Chapter Twenty-three. If there were any doubts that Rochester was not to be trusted they have been shattered by this episode. It is difficult to fathom what he was thinking when he proposed to Jane, knowing that his previous marriage was a possible impediment even though he seems to feel this can somehow be overcome. He said it best when he told Jane "you must regard me a plotting profligate -- a base and low rake". Indeed! I believe she feels that she has no choice. She is fleeing from Thornfield and everything that Rochester represents. The one person in whom she had placed her hope had deceived her and left her life in a shambles. The question is will she be able to recover from this terrible episode. It has been a while since I was out for a Sunday morning run, and even longer since my run inspired a new Haiku. 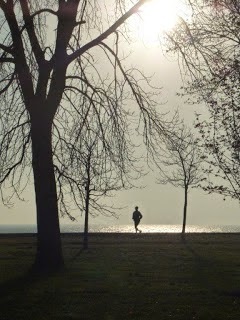 I hope you enjoy this impression from my November run in Lincoln Park.